Lesson Objective: The lesson is aligned to the Common Core State Standards for Mathematics – 5MD.5c Geometric Measurement – Recognize volume as additive. The solid figure shown to the right is composed of two non-overlapping right rectangular prisms. Find the volume of each prism. Then add the two volumes to find the volume of the solid figure. 1. One rectangular prism has a length of 3 units, width of 2 units, and a height of 1 unit. What is the volume of this rectangular prism? Show how you found your answer. 2. The other rectangular prism has a length of 1 unit, width of 2 units, and a height of 2 units. What is the volume of this rectangular prism? Show how you found your answer. 3. 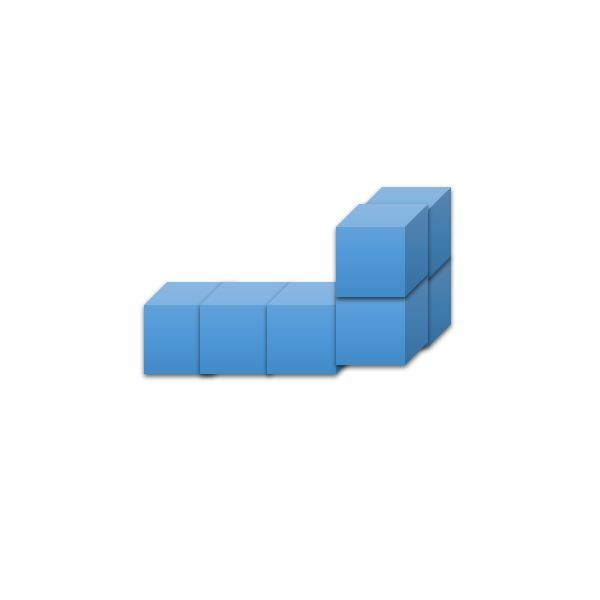 Add the volumes of the two rectangular prisms to find the volume of the solid figure. What is the volume of the solid figure? Show how you found your answer. Each of the solid figures in the table above is composed of two rectangular prisms. Find the volumes of each of the solid figures by adding the volumes of the two rectangular prisms. Complete the chart to show the volumes of the rectangular prisms and the volumes of the solid figures. Students should be able to find volumes of solid figures composed of two non-overlapping right rectangular prisms by adding the volumes of the figures.